Augusto Pereira Nobre was born in ua de Santa Catarina, in Porto, on 25 June 1865. His interest in Zoology and subsequent dedication to the study of marine animals came from the time he spent with his family on the beach of Leça da Palmeira. His first experiences in zoological studies were performed in Porto Municipal Museum, in Rua da Restauração, which was organized by João Allen and had a malacological collection, and his first studies were in Porto’s Municipal Library, which had books on this subject. Augusto Nobre attended high school in a college and in a public school and, when he was 18, he wrote the paramount scientific paper "Essay on the marine testaceous Molluscs observed between Espinho and Póvoa", published on the 1st volume of the magazine "A Mocidade de Hoje" (1882). In 1884, he enrolled in the Faculty of Philosophy in the University of Coimbra, where he studied Botany and Zoology. Here, he established a long lasting contact with Botany Professor Júlio Henriques and with Zoology Professors Albino Giraldes and Paulino de Oliveira. He prepared zoological tours and attended the Natural Sciences’ subjects. From Coimbra he transferred to Polytechnic Academy of Porto, where he attended preparatory subjects in Medicine, but soon travelled abroad for less theoretical teaching of Zoology. In Paris, he worked under the guidance of Professor Edmond Perrier (1844-1921), the director of the Natural History Museum, attended several subjects in the Sorbonne and did Practical Projects in Zoology in the Practical School for Advanced Studies, lectured by his master who suggested that he should go to the Sète Zoological Station, adjacent to the Faculty of Mompilher. Back in Porto, in 1890 he was invited by Amândio Gonçalves, a Botany Professor in the Polytechnic Academy, to be his assistant in practical projects. In the following year, he was nominated practical assistant in the Zoology subject for Professor Aarão de Lacerda, starting a long collaboration with this scientist and giving way to the modernization of Zoology Education in Portugal. In the field of Sciences, Augusto Nobre set up a maritime laboratory in Leça da Palmeira, anticipating the Maritime Zoology Station which he created in Foz do Douro (1914), and founded the journal "Annaes de Sciências Naturaes" (1894-1907). In 1901 he was appointed Effective Naturalist of the Academy. After finishing his bachelor in Historical-Natural Sciences, he applied for a position as a Professor in the recently established Faculty of Sciences of Porto, getting the vacancy of Extraordinary Professor in the 2nd Group of the 3rd Section, not by contest but by merit, nominated by the minister Duarte Leite (7th December 1912), and he also assumed the positions of Director of the Museum (created in 1892 and open to the public in 1916) and of the Zoology Laboratory. On 21 August 1915, he became a Professor (the current Visiting Professor) and by 31 March 1921 decree he took charge of the Zoology Institute. In 1918 Augusto Nobre received his PhD in Historical-Natural Sciences by the FCUP. He retired in 1935 as he reached the legal age limit and, soon after, his name was given to the Zoology Institute and Maritime Zoology Station, in Foz. Throughout his career he held other important positions. 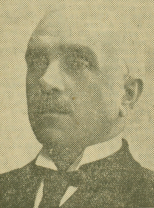 He was member of the Aquaculture Permanent Committee, Member of the Forest Council of the Ministry of Agriculture, Naturalist Member of the Central Fisheries Committee, Member of the Council for Oceanography and Fisheries Studies, Budget rapporteur and Head of Department for the Ministry of Education, 3rd Rector of the University of Porto (1919-1926) and Ministry of Education (1920-1922), a role which allowed him to create the Technical Faculty, the Astronomy Observatory adjacent to the Faculty of Sciences and to transform the Pharmacy School into a Faculty. This respected scientist and politician was the author of 111 studies, mainly about marine life and Portuguese mollusks, he published posthumously poems by his brother António Nobre, collected in the work "Despedidas" (1902), prefaced by Sampaio Bruno. He coordinated several editions of the collected poems "Só", compiled memories, letters from his brother and testimonials about him in the book "Leça do Balio – memories and studies from sixty years ago". Unquestionably, one of his greatest achievements was not only the Zoology Museum (Room integrated within the Natural History Museum of the FCUP located in the historical building of the Rectory of the University of Porto), with the help of his son Augusto Ferreira Nobre until his death in 1930, but also his involvement in the foundation of the Rio Ave Aquaculture Station, established in 1886 by order of Bernardino Machado, which he later ran. Augusto Nobre was an academic member of the Lisbon Academy of Sciences (elected on 23 September 1893) and of the Coimbra Institute. He died in his house in Foz, in the morning of 13 September 1946.